Consultations are a great way to get everything out in the open so we can create a mutual and educated plan for your hair removal treatments. We require consultations for all new clients. You will be able to discuss questions or concerns you may have as a practitioner learns about your medical history, medications, past hair removal attempts and any other information that makes you unique. Both of these are vital in providing the most comprehensive (and successful!) treatment possible. 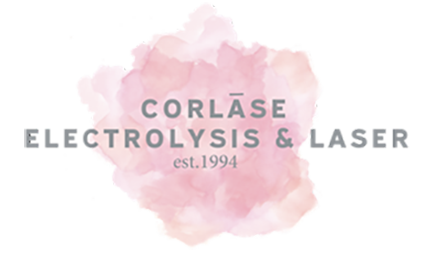 Corlase Electrolysis & Laser schedules consultations for 30 minutes. Client forms are available here for you to print out and complete beforehand if you choose to do so. You will need a copy of the “Client Personal Information”, “Client History,” “Photography Release,” and “Office Policy” forms at the time of your consultation. You also have the option to arrive 15 minutes prior to your appointment to complete a copy provided to you at our facility. All consultations require a 24 hour notice for any cancellations. Any late cancellations or “no shows” will result in a $45 fee. Just call us at 919-460-1884 by the morning the day before your appointment to let us know if you will not be able to keep that time slot and we will work with you to find a better appointment time. Sometimes our clients and the practitioner may feel comfortable with a treatment plan before the appointment is over. If time allows, we can start with a complimentary electrolysis mini session. Often this is a good option for those who are comfortable with moving forward but still curious or nervous about treatment. Please feel free to fill out the contact form on below if you have any questions or would like to set up an appointment.